Last year we saw gift cards available for Apple TV purchases, but that’s not the case in 2017. Even the latest iPhone 8, iPhone 8 Plus and iPhone X aren’t eligible for gift cards, nor are Apple Watch Series 3 models. 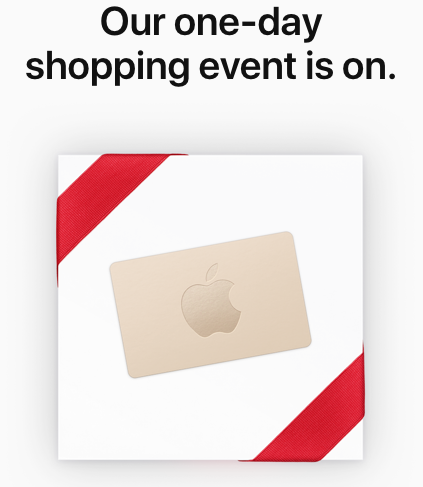 If you were planning on buying one of these models above from the Apple Store, it may be nice to get a little bonus. But you may be better off finding discounts on Black Friday at other retailers.